The room and the view was really nice. The restaurant and food was great. Great Breakfast. Olive is missing in the country of Olive!!!! Took boyfriend away for a little break , the hotel is a good location. However it’s dated and needs some work . The room are very basic with little in them . We had problem in the bathroom that it flooded every time we put shower on bath on , this took the hotel serval hours to sort and constant reminders from ourselves to reception . The hotel was ok for a short break . If you hire a car the hotel charge you £10 a day but car park next door is free and safe . 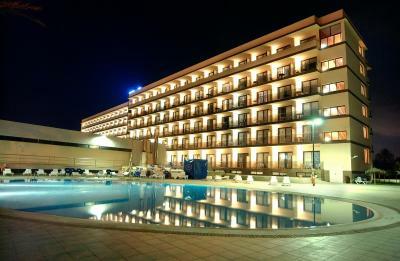 The hotel was as expected, overall was clean and comfortable and location was great. We were only B&B but the Breakfast was lovely, loads of choice, will definitely stay again. Room was of a good standard warm and what you would expect from a 4 star rated hotel. We liked the balcony with a table and chairs with a view of the ocean. We were also along a canal and were entertained by the antics of the ducks. Nice large room with lots of space for our backpacks. 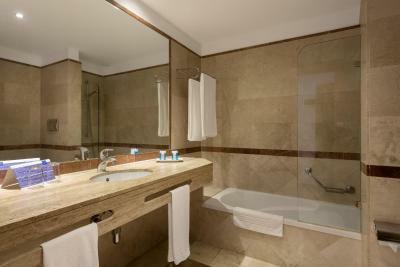 Nice large bathroom with nice bathroom amenities. Nice breakfast included with lots of hot and cold options. The hotel is visible from the main road and after driving for about 1 hour to find a hotel in the maze of big Condo projects after Condo projects we found a place for our 1 night stay. Nice boardwalk along the beach for an evening and morning walk. 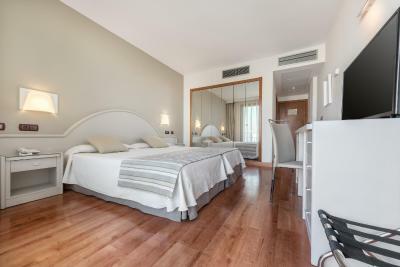 VIK Gran Hotel Costa del Sol This rating is a reflection of how the property compares to the industry standard when it comes to price, facilities and services available. It's based on a self-evaluation by the property. Use this rating to help choose your stay! 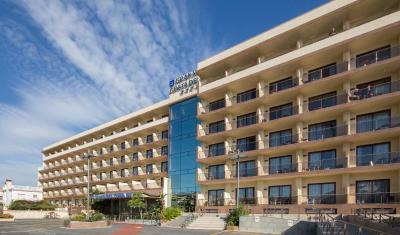 VIK Gran Hotel Costa del Sol is a few feet from Cala de Mijas Beach. It features a shallow swimming pool, and rooms with balconies and lateral views of the sea. 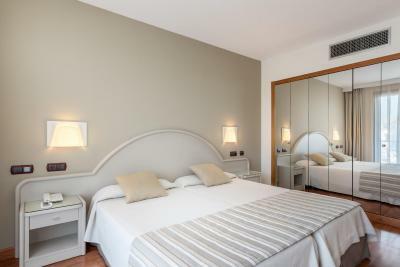 Rooms at VIK Gran Hotel Costa del Sol have bright décor and parquet floors. All rooms come with satellite TV. Free WiFi is available throughout. 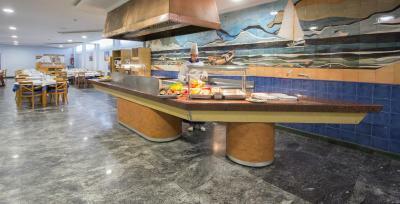 The hotel has a restaurant which serves Mediterranean buffet meals. There is also a coffee house and bar. 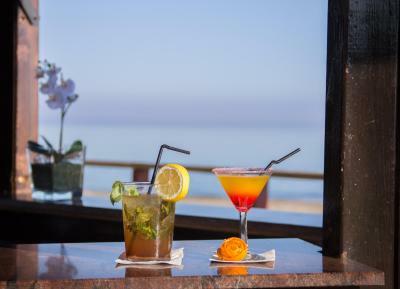 Guests can enjoy sea views from the terrace and enjoy a drink at the pool-side bar. VIK Gran Hotel Costa del Sol also provides entertainment. 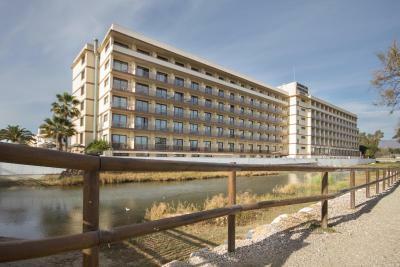 The nearest golf course is 1,650 feet from VIK Gran Hotel Costa del Sol. Fuengirola is a 15-minute drive, while Marbella is around 15 mi from the hotel. 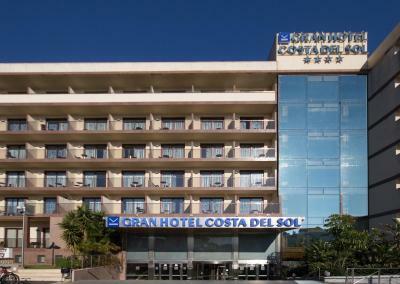 When would you like to stay at VIK Gran Hotel Costa del Sol? 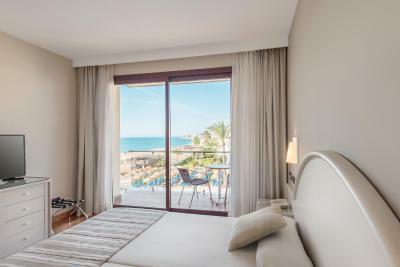 This room features satellite or cable TV and a private balcony with side sea views. There is a safe, and the private bathroom comes with a hairdryer. Central air conditioning is available only during the summer. Please note that these rooms are located on the 4th, 5th or 6th floor. This triple room has a soundproofing, sofa and air conditioning. This triple room features a sofa, soundproofing and air conditioning. This triple room has air conditioning, sofa and soundproofing. This triple room features a soundproofing, air conditioning and sofa. House Rules VIK Gran Hotel Costa del Sol takes special requests – add in the next step! VIK Gran Hotel Costa del Sol accepts these cards and reserves the right to temporarily hold an amount prior to arrival. No internet past 3rd floor Aircon didn’t work Maid service very poor. Tea tray never replaced or cleaned. Never restocked. Air conditioning didn't work and the Hotel couldn't fix it. Very hard to sleep. Unfortunately the food on the buffet was often cold, both brrskfast and dinner! A/C did not work correctly hence the room was too warm and stuffy. We struggled to sleep because of this problem. Check in at 14:00 is too late. The food was good and great value. The entertainment in the bar was high quality. The location next to beach is ideal. The rooms seriously need renovation. Extremely basic, chipped cupboards, tired bathroom. The beds looked like 3 travel beds all pushed together. The location. Right on the beach. Air conditioning did not work room stifling no sleep. No shower cap, towels threadbare. location. Beach and pool area. The staff were lovely. It was busy but ran like a well oiled machine. The restaurant food was a buffet and we had breakfast and dinner included. The food was lovely with some fresh cooked main courses. The hotel is on the edge of the beach and our room was facing the South West so we had the sunrise every morning. The 6km board walk in La Cala is just outside the property. The staff were amazing and very accommodating, cheerful and friendly, with good English. Everything you need is close by, within walking distance. Just home and We have booked to go back again. Buffet food pretty average. Noisy guests partying in corridors and rooms - large groups of guys and girls. When complained were told police had been called due to their behaviour. Told if we had any issues to contact security. Location superb. Close to beach and the town. The food was awful. Went in for breakfast no cutlery on table and the food was a lot to be desired. Staff was mostly unfriendly specially at the bar but all together the service was poor and nothing to the U.S standards.There was a booklet in the room offering free Landry but then they end up charging me 39 Euro for it.They also canceled my reservation because I was a nightlight I never give me the money back they told me if I wanted to stay there I have to rebook again. To me it was a rip off.